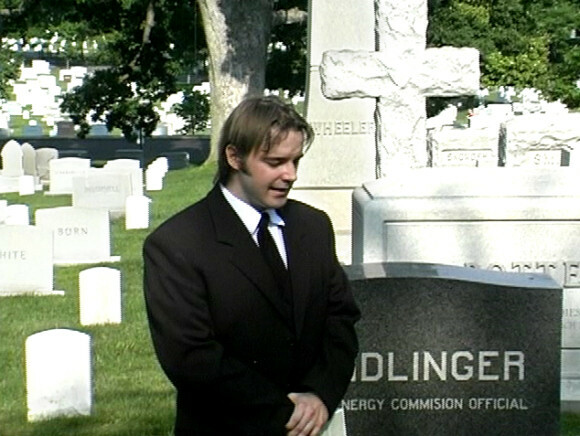 5/29/2006 - Successful Memorial Day Commemoration Ceremony at Arlington National Cemetery. 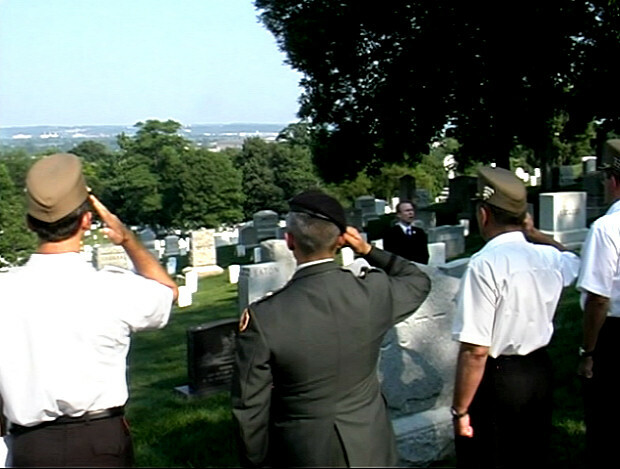 About 40 members and guests which included representatives from NATO, both the US and Hungarian military, Hungarian American leaders, and representatives from the Hungarian Embassy witnessed the Memorial Day ceremony. 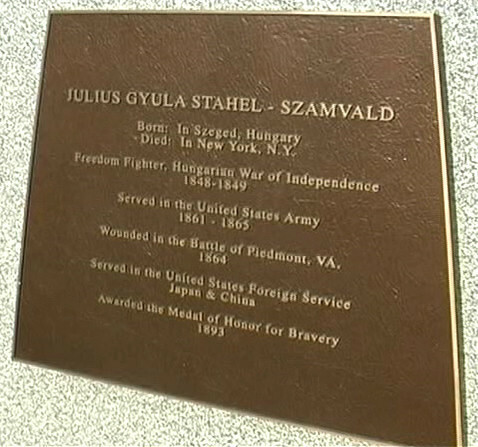 Arlington National is the final resting place for a number of Hungarian American Congressional Medal of Honor recipients. 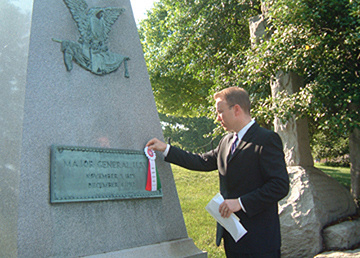 Following the program that included a roll call in honor of those in present and past military service and a presentation on Hungarian and American military traditions, the group proceeded on a walking tour of 8 additional Hungarian American gravesites scattered throughout the sprawling grounds. Details about those brave men can be seen to the right. The descendants of Gen. Kozlay met with the descendant of Gen. Asboth for the first time (Gusztav Asboth is seen here on the left with Hungarian Military Attache Janos Varga). 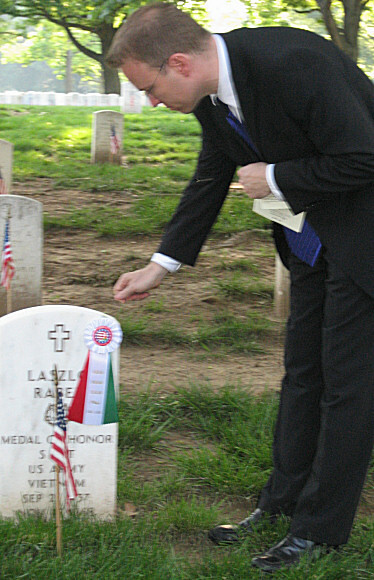 We learned that Gen. Eugene Kozlay served under Lajos Asboth, Sandor's older brother, in the 1848-49 war. Eugene Kozlay also knew Sandor in New York, and he is mentioned several times in Eugene's diary in the 1848 revolution. Hungary recognized the Kozlays with the Pro Cultura Hungarica award after they donated Gen Kozlay's manuscripts to the Petöfi Literary Museum in Budapest. We witnessed these great Hungarian families shake hands in 2006. A number of those present at Gen. Asboth's re-internment returned to commemorate his contributions once again. We met Shirley Olchvary whose husband, Col. Paul Olchvary, served with distinction in the US Army (his father, Col. Istvan Olchvary served in the Hungarian Chief-of-Staff's Office and graduated from the famed Ludovika Military Academy as did another AHF member - Gabor Olah). It was interesting to hear how Col. Olchvary and Lt. Col. Vekony both joined military service "to give back" what America had given to their parents. A sentiment that rings true to me and so many Hungarian Americans of that generation. We learned that a nephew of the Lendvais (Imre is seen here to the left of AHF Chairman of the Board Akos Nagy) is head of the International Hungarian Boyscouts) is currently serving in Iraq. We met the son of FrancisGary Powers the US national hero who risked his life and was shot down in his high-altitude spyplane over the red skies of the Soviet Union.Francis Jr. (seen here to the left of Janet and Doug Kozlay, Pro Cultura Hungarica plaque recipients) carries on the fight to make sure the world remembers his father and Soviet tyranny as Founder and President of the Cold War Museum. We heard 1956 Freedom Fighter and former US Army officer Zoltan Bagdy and Dr. Imre Toth, a former lieutenant in the Hungarian Army and the last surviving Secretary of the Revolutionary Committee for the Ministry of Foreign Affairs for the Imre Nagy Government in 1956, call out the names of so many of our brothers who served the cause of freedom. We received recommendations for the roll call from far and wide, including the President of the 25th Infantry Regiment Association, the regiment of Silver Star hero Akos Szekely. Others included Paul de Holczer and Joe Ivany who lost his son in Iraq. In this year, the 50th anniversary year of the 1956 Hungarian Revolution, it was particularly poignant to see freedom fighters share this day with American and Hungarian military officials that included the Military Attaches to the United States (Col. Varga and Maj. Bone) and Hungary's NATO representative (Col. Juhasz). Congratulations are in order for Lt. Col Vekony and Maj. Bone for an excellent exchange and presentation. Finally, we touched the stones that serve as reminders of the heroes buried there... heroes that fought in American battles that spanned 3 centuries. These men are not forgotten. What an example Bela Kovach, an AHF member from Ohio, who travels to Hungary to kiss the grave of Alexander Asboth's parents each year, in keeping with Asboth's last wishes. No, Gen. Asboth, your parents are also not forgotten. May the unity we found yesterday continue and permeate all things we do." 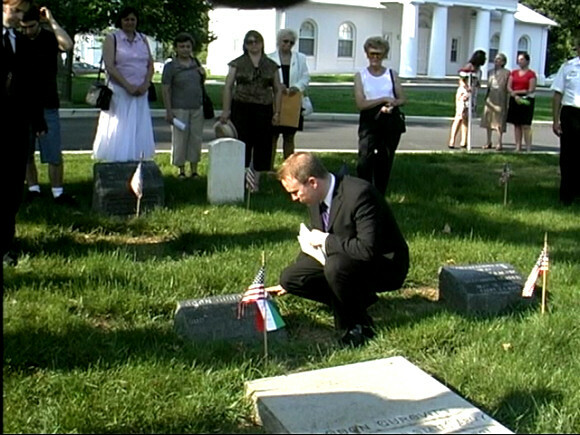 4/26/2006 - The American Hungarian Federation announces Memorial Day Commemoration Ceremony at Arlington National Cemetery on May 29, 2006. 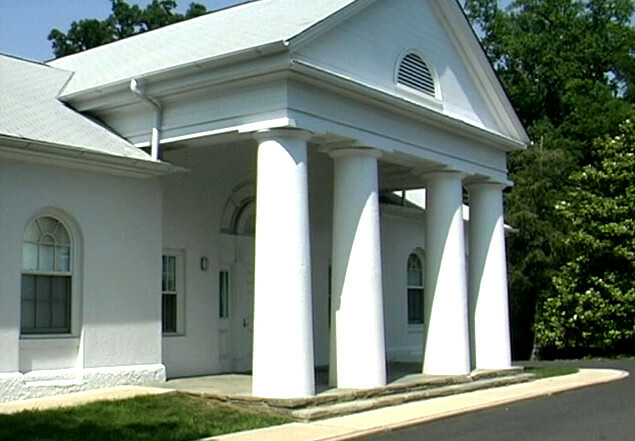 Representatives from NATO and both the US and Hungarian military, Hungarian American leaders, and the Ambassador and representatives from the Hungarian Embassy are expected to attend. 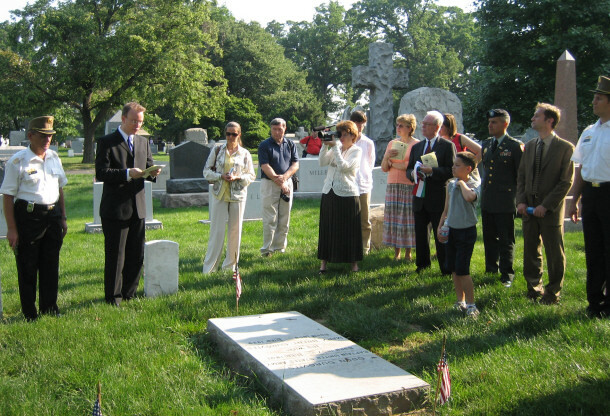 Arlington National is the final resting place for a number of Hungarian American Congressional Medal of Honor recipients. 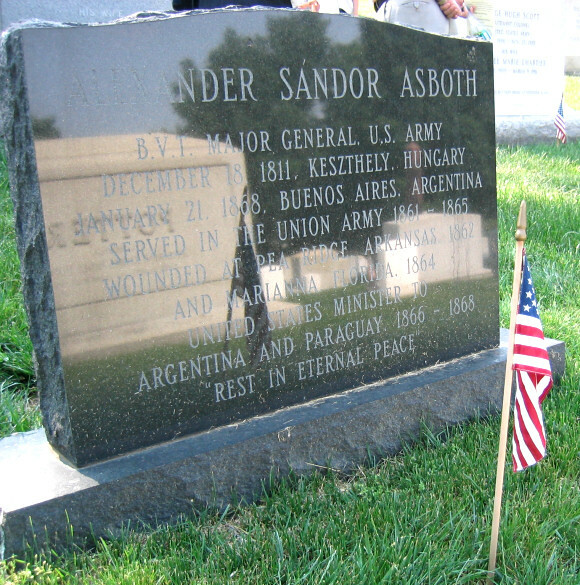 Inscribed on the medal is AHF's Motto, “Fidelissimus ad Mortem" or "Faithful Unto Death,” which represents Hungarian American historical committment to the United States. The motto was taken from a letter written by former Hussar Officer Michael Kováts to Benjamin Franklin. Kovats, known as a Founding Father of the US Cavalry, offered his sword in service to the United States. On May 11, 1779, Colonel Kovats gave his life in the American War for Independence while leading the Continental Army cavalry he had trained in Hungarian hussar tactics against a British siege of Charleston. The British remarked that Kovats' forces were "the best cavalry the rebels ever had." He is immortalized in the almost lifesize portrait by Gabriella Koszrous-Varsa seen here. He is immortalized at the Citadel Miltary Academy in South Carolina as they honor him and named "Kovats Field" after him. The Hungarian Embassy, too, has a statue in his honor sculpted by Paul Takacs and executed by Attila Dienes.